Yellow Mustard Seeds is often termed as an “unavoidable spice in Indian kitchen”. We offer our customers with superior quality Yellow Mustard Seeds. Yellow Mustard Seeds are often used by medical practitioners for Cancer Treatment, Rheumatic arthritis, Migraine, Respiration congestion, Asthma and various other purposes. 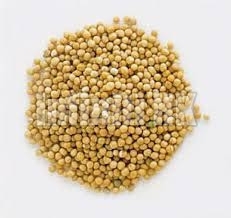 We manufacture, export and supply Yellow Mustard Seeds in the national and international market.